Germany’s Federal Administrative Court in Leipzig has rubber stamped, in principle, Port of Hamburg’s plans to deepen the Elbe and construct a passing channel to increase carrier volumes. The Elbe deepening project was put on hold in 2013 by the court after protests from environmental groups over plans for the 385-metre channel. While yesterday’s ruling did not remove the stop work order, it did bring the port closer to beginning the work, expected to increase capacity for ultra-large container vessels (ULCVs) by 1,800 teu per call. Chief executive of Hamburg Port Authority Jens Meier said the court’s decision underlined the necessity for the adjustment of the navigation channel. 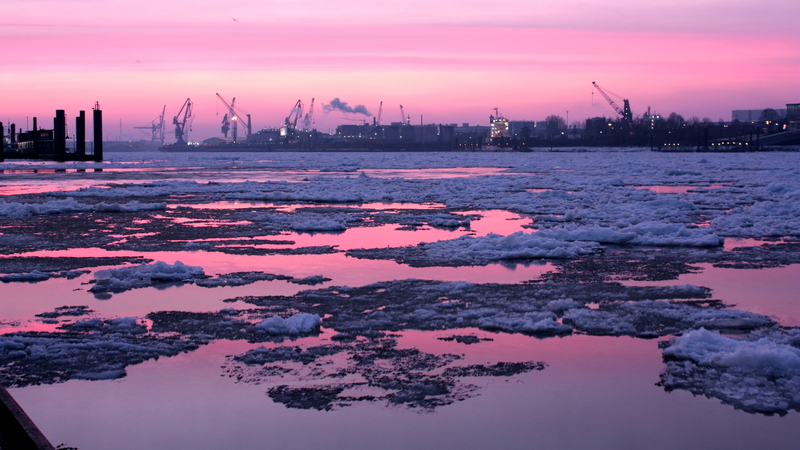 Under the ruling, though, the port must first provide substitute areas for the hemlock and water dropwort plant life that lives along the Elbe and address concerns on the fluctuation of river salinity. Mr Meier said the project team responsible would be working “at full power”, but it was too soon to give a statement on the timeframe required. However, a spokesperson for the port told The Loadstar that, assuming there were no more protests, construction could start within the next year or two. “But with no fixed time schedule, it is difficult to fully communicate plans to carriers, as under German law nothing can start without a complete project plan,” said the spokesperson. Joint chief executive of the port’s marketing, Ingo Egloff, said the decision made it clear that the adjustment would happen, but regretted the repeated delays . Despite the difficulties posed by tidal restrictions, Hamburg reported a doubling of the number of 14,000-19,000 teu ULCVs it handled in the first nine months of 2016, compared with 2015. This indicated that ocean carriers continued to value a direct call at the port and were prepared to work with the loading restrictions in the interim, providing the deepening was eventually realised. The alliance pro-forma network plans for North Europe, published in November, suggested there would be no slowdown in the number of new ULCVs serving Hamburg, with two expected in April. Schedules showed the Ocean Alliance would include a Hamburg call on five of its six North European loops, while THE Alliance said it would make a call at the German port on all five of its loops. Hamburg is Germany’s largest port, providing more than 156,000 jobs and €21.8bn for the German economy, while generating €900m in tax revenue for the city. “This is why it is important that the Federal Administrative Court has decided that the basic necessity for adjusting the fairways on the Elbe is not in doubt,” said Mr Egloff.